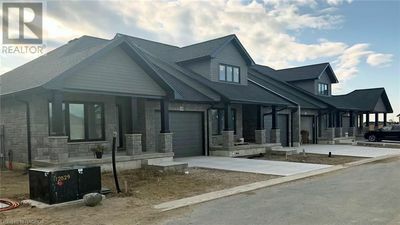 As a real estate agent who specializes in Port Elgin, let me be your guide to what Port Elgin Ontario has to offer as a neighbourhood to finding homes for sale in the area. The largest urban centre in the Town of Saugeen Shores, Port Elgin thrives as both a tourist destination and a year-round home of over 7000 residents. With plenty of shopping, restaurants and entertainment, Port Elgin offers something for everyone. Port Elgin's history dates back almost 700 years with the discovery of a Huron and Petun First Nations community, established around the year 1340 on the site of the current Nodwell Park. Once an active commercial transportation hub, today Port Elgin has a bustling recreational harbour that services 247 slips with fueling facilities, showers and other amenities. Port Elgin's beach is the focal point of the town and a centre of activity during the summer months. A half-scale replica of an 1836 American Steam Train, originally built in Port Elgin, takes young visitors on a scenic tour around the harbour and nearby Northshore Park while a busy outdoor flea market draws shoppers each Wednesday from the end of June until the end of August. Music lovers can enjoy bandshell concerts or beach carnivals several times a week. Port Elgin is perfect for the active sportsman with abundant fishing, hiking and water sports, while golf enthusiasts can choose from four nearby courses. And with a variety of shopping available from major department stores to unique local shops, everything you need can be found right in town, including a 3-screen movie theatre, a library and a bowling alley. The world-famous Pumpkinfest takes place each year on the first weekend of October. With its giant vegetable competition, car show, crafts and children's carnival, Pumpkinfest draws thousands of visitors to Port Elgin and has truly put the town on the map. With its maple-lined streets, plentiful parks and gorgeous sunsets, Port Elgin is the ideal town to call home. Whether you're looking for a freehold townhouse, a vacation cottage or a stately century home, you'll find the perfect place right here. If you would like to get to know more about Port Elgin and what it has to offer in Homes and Cottages for Sale contact Harold Fenlon a REALTOR® who specializes in this community. Find homes for sale in Port Elgin or sell your Port Elgin property! Looking for real estate in Port Elgin? Get homes for sale sent to your email. Have a home or property to sell in Port Elgin? Get a Free Home Evaluation.